This is Part 2 in the Pontiac GTO History Series. As discussed in Part 1, Pontiac hit a home run with the GTO’s introduction in 1964. It caught the automotive world by surprise. Soon thereafter there were many competitors in this new “muscle car” segment which the GTO had created. Sales continued to rise each year until sales reached a slight decline in 1967. Pontiac realized it was going to have to up its game for 1968 and 1969 in order to stay ahead of the competition. The end result was the GTO was given legendary sleek body styling well ahead of its time and fast V8 engines. During this time period it was hard to believe the GTO by the mid-1970s would be forced into automotive retirement. By 1968 the muscle car competition was really heating up, and Pontiac did not even break a sweat. Pontiac’s strategy for the GTO was to continue to offer high-performance V8s and improve styling to keep GTO sales sizzling. For 1968 this strategy worked perfectly with total sales increasing to 87,684 units. The 1968 GTO had a new more rounded body style that was enhanced by optional hide-away headlights. These headlights were bordered by a new beautiful Endura front bumper that was painted to match the exterior body color. The Endura front bumper was a technological innovation, it could sustain a light hit and within a few hours pop back to its original shape. Similar body colored plastic bumpers are today currently available on most cars and SUVs. Pontiac at the time was not sure how GTO buyers would react to the new Endura front bumper so it offered an Endura delete option that replaced the Endura bumper with a traditional front chrome bumper. These fears were unfounded, the Endura front bumper was a mega hit, very few buyers opted for the Endura delete option. For 1968, there were five 400 cubic-inch V8 engines to chose from: an economy 265 gross horsepower 2-barrel 400, a 350 gross horsepower 4-barrel 400, a 360 gross horsepower 400 HO, a 360 gross horsepower 400 Ram Air, and a 366 horsepower 400 Ram Air II. The 400 Ram Air II which was offered late in the 1968 model year had new free-flow exhaust manifolds, round exhaust ports, and other performance goodies. The 1969 GTO was essentially a carryover from 1968. A new front parking light design and new rear taillights were the primary changes. By 1969 GTO sales were still very good however there were dark clouds beginning to appear on the horizon for the GTO and every other muscle car. 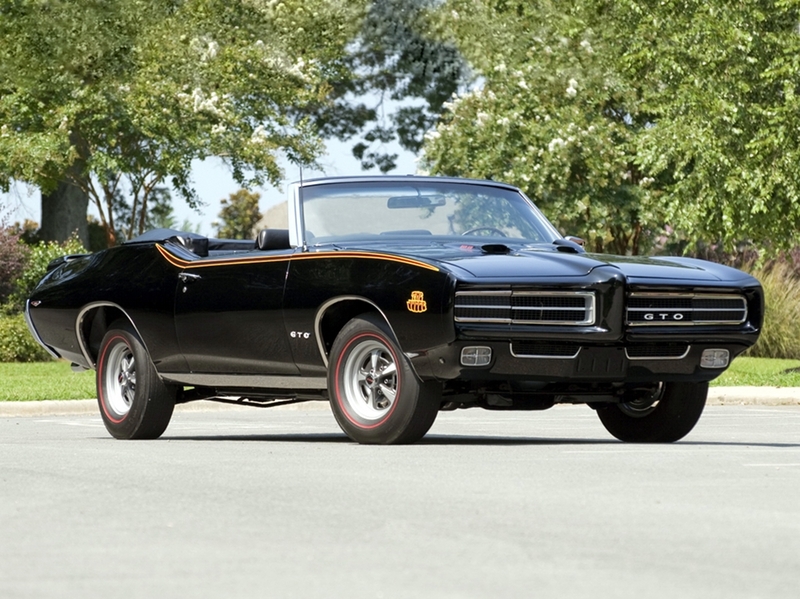 Dark clouds that even the new for 1969 GTO option package called the “Judge” could not prevent. The Judge was first intended to be a GTO package to compete with the low cost bare-bones Plymouth Roadrunner. However by the time Pontiac engineers were done with developing it for production, the Judge was a high-end GTO option. The Judge had standard goodies such as a rear spoiler, wild Judge stripes, and Judge decals. 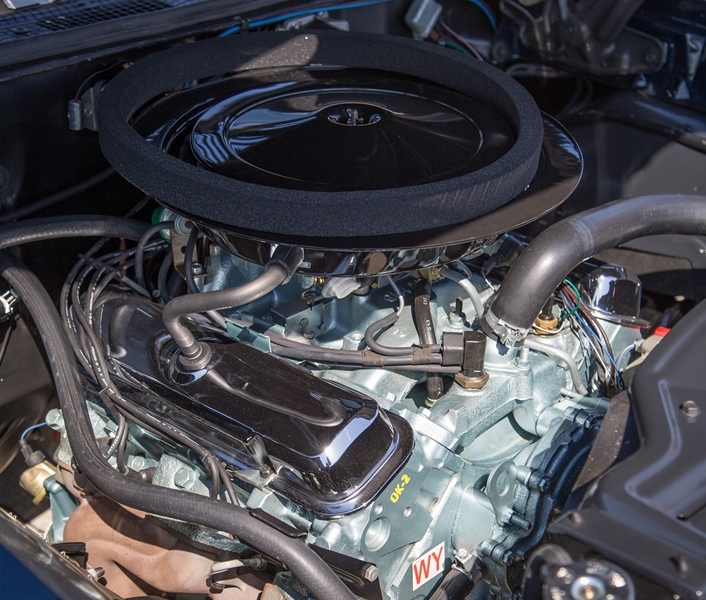 The Judge also came standard with the 366 gross horsepower (D-port) Ram Air III 4-barrel 400 and could even be ordered with the optional (round-port) Ram Air IV 4-barrel 400 which had with a very conservative 370 gross horsepower factory rating. These two engines were also available on any GTO for 1969. The standard 1969 GTO engine was the 350 gross horsepower 4-barrel 400 V8. Total GTO production for 1969 was 72,287 units, 6,725 of these were Judge hardtops and only 108 were Judge convertibles.